Meet with Perlmutter Properties at ICSC’s New York Deal Making! Perlmutter Properties will be exhibiting at the ICSC New York National Deal Making on December 6th and 7th at the Jacob Javits Convention Center. We’ll be in 3263 which we are sharing with Benbrooke, and QuantumListing. Click to schedule an appointment with David Perlmutter, David Liebowitz or Alan Zuckerman. You can also call us at (914) 686-8900. We hope to see you there! The following letter was shared with me. It was written by Vincent Brown, who is opening up his first laundromat, to Andrew Bermudez, Co-Founder and CEO of Digsy and Digsy AI. My name Is Vincent Brown. I’m writing you to make you aware of just how fortunate you all are to have David Perlmutter as a Digsy affiliate. Just last year I found myself in a very desperate situation to find a location to build out my very first laundromat. As a first time business owner I decided (wrongly) that it would be in my best interest to find a location for my business on my own. I searched every commercial real estate website I could find with absolute zero luck. After looking for several weeks my wife noticed how frustrated I was growing and decided to contact Digsy for help. Thank God She Did. Within a matter of minutes my phone rang and a customer service rep told that I would soon be receiving a call from David. When David called he introduced himself very professionally and was extremely patient with me as I explained my situation. Honestly, It was his confidence that we would ultimately find the perfect location that put me at ease. He mentioned that he had a couple of locations in mind and was even willing to meet me in the freezing winter cold to check them out along with me. I was immediately impressed with his level of commitment to helping me and was doubly so when he followed though and met me on time as promised. From that day forward David continued to search for the perfect location. He contacted renters, building managers, other realtors and even spoke with my contractors to make sure the space was exactly what I was looking for. Eventually as promised David found the perfect location, 906 St. Nicholas Avenue in upper Manhattan. He and my lawyer negotiated my lease terms perfectly. He made sure to address all of my concerns and even some I didn’t even know I had. He even bothered to take time out of his busy day to talk me down when I was stressed about my business not going as expected. I respect David, mostly because he’s always told me the truth from day one. If he thought I could be making the slightest mistake he would let me know and I would listen to him because I truly believed he’s always had my best interest at heart. Recently I asked David why it was that he took so much time out to make sure that my situation worked out correctly and his response was simply “ That’s what I do for all of my clients”. I can’t say that I wasn’t slightly disappointed that I wasn’t special, but I can say that I believed him. He’s just that great of a guy. I first want to thank my wife for having enough sense to pick up the phone and call Digsy but I really want to thank you for having the smarts to employ such a professional. As a side note, my business will be open and running very soon, all is well and I owe a large percentage of the credit to your company and David Perlmutter. Perlmutter Properties will be exhibiting at Booth S246 S Street in the South Hall at ICSC RECon 2017. Call 914-686-8900 to schedule an appointment with David Perlmutter, Alan Zuckerman, David Liebowitz or Stephanie Waters. David P. is also happy to discuss QuantumListing.com with you! We’ll also be co-hosting to exciting events during RECon. On Sunday May 21st, join the #LetsGetSocial17 Meet Up from 5:00pm to 7:00 pm at the Aria Sports Bar. 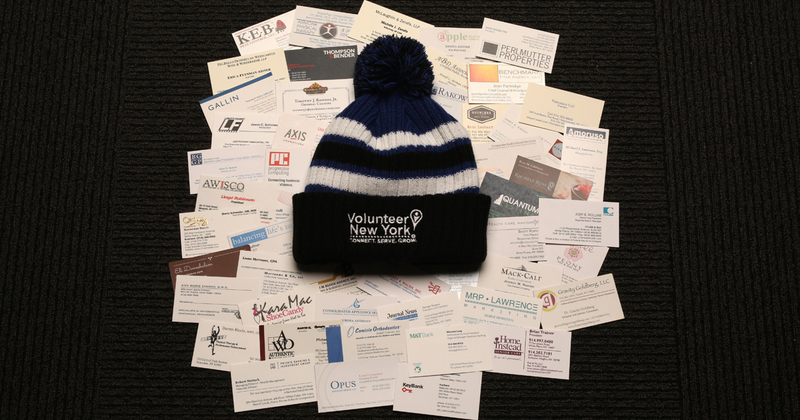 If you register at www.letsgetsocial.info we’ll have a name badge waiting for you. Owners, brokers, developers and more from all over the country will be on hand for this fun and relaxed kick off to RECon. On Wednesday, May 24th, from 9:00 to 1:00 we’ll be hosting the #LetsGetSmart Speaker Series at our booth, S246 S Street in the South Hall. The incredible array of speakers we ‘ve lined up from all over the country will make Wednesday at RECon interesting informative. If you attend #LetsGetSmart, you won’t be looking at your watch waiting for RECon to end. You don’t need to be on hand for the whole event. Come and go as your schedule permits, but be sure to be on hand when the In-N-Out burgers arrive! You can get more information and register at www.letsgetsmart.info. 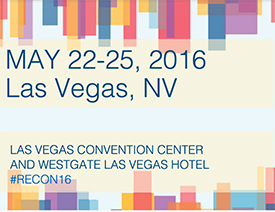 Meet with Perlmutter Properties at ICSC RECON 2016, May 23-25. We’ll be exhibiting at Booth S246 S Street in the South Hall. We are sharing the location with QuantumListing, Benbrooke Realty Investment Co., and Gladstone Development. We’d love to review your expansion plans, portfolio, or listings with you, so contact David Perlmutter at david@perlmutterproperties.com or at (914) 470-5719 to schedule an appointment. We’re pleased to announce that Perlmutter Properties Inc.’s affiliate, PPI of New Jersey LLC has been given a New Jersey Real Estate Broker’s license, thanks to the efforts of Alan Zuckerman, its broker of record. Thanks to Michael Grossman of MAG Real Estate Advisors for asking Perlmutter Properties to participate in Volunteer New York’s Giving Tuesday program. I’m looking forward to getting my hat this morning (picture coming?). My parents and grandparents set an example for me as a kid about the importance of giving back to your community. As a student in college, my favorite economics courses were the ones on the economics of lesser developed countries. One of the principles I learned then and that motivates me in how I choose to give back is that a society’s greatness is judged on the wellbeing of its least advantaged members. One of the many great things about my father, Milton Perlmutter, is that he saw how important it was to give people the tools to better their lives. He believed that the highest form of charity was to help people to help themselves. Of all his many business accomplishments, I think that he was most proud of bringing Pathmark supermarkets to underserved communities like Bedford-Stuyvesant. Although I don’t think I’ve had that kind of life-changing impact that bringing quality food to at a competitive price to these food deserts had, I’ve always thought it important to take on listings in under-retailed communities to help bring goods and services to their members. So, whether it is raising scholarship money to help fulfill the dreams of kids who can’t otherwise afford college, or filling needs in an underserved community, there is always an opportunity to lift up society by helping those who need it most. Perlmutter Properties will be exhibiting at the ICSC New York National Deal Making on December 7th and 8th at the Jacob Javits Convention Center. We’ll be in Booth 368, which we are sharing with Benbrooke, Admiral Real Estate, and QuantumListing. Perlmutter Properties is a company in transition. That’s what keeps us relevant. It’s like that old adage, the only constant is change. Commercial real estate is a dynamic industry, so once your company stops changing, you wither and ossify. Disruption is the buzzword of the day in real estate circles, especially in the tech end of the industry. I think, though, unless you have a really low bar for what qualifies as disruption (with a few exceptions), transition is really a more relevant term. The objective of this blog is to explore the transitions I see and have seen in the commercial real estate industry, and how Perlmutter Properties is responding to it. We’ll also explore the friction caused on the disruption/transition margin. Stay tuned, and buckle up. The ride may be bumpy, but it should interesting and fun, too. Papa John’s Pizza has opened at 75 North Main Street at Four Corners Spring Valley. There are two spaces of 3100 and 6000 SF that are still available. At 94 North Main Street, four stores ranging in sizes from 1275 to 1350 SF are available. An accountant opened in January, and a barber shop opened this month. There is an endcap available that is perfect for a non-venting food use, that also includes an outdoor covered patio. CPC Resources developed the buildings as part of the revitalization of downtown Spring Valley. The properties are conveniently located near the train station and Memorial Park. Area demographics are outstanding, with 113,714 people residing within a 3 mile radius with median household incomes of $75,362. 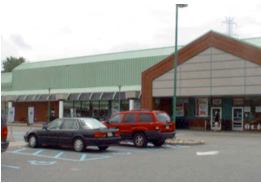 The 45,000 SF former Pathmark, and a 7000 SF end cap are available. There are two additional contiguous stores available of 3000 and 1800 SF. There are letters of intent out for much of the space, so if you are a client are interested in a store, now is the time to act. The Village is a 100,000 square foot neighborhood center located at the intersection of Route 10 and Eisenhower Parkway in Livingston, New Jersey. It is at the gateway to the busy Route 10 retail corridor. Tenants include CVS, Olive Garden, Wine Legends, Hudson City Savings Bank, GameStop, Greets and Treats, Milano French Cleaners, Karate USA and Zen Restaurant. The Livingston Arts Council is occupying space on a temporary basis. 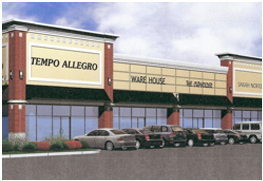 A new 42,000 SF retail center is being developed on the west bound side of Route 10 in Livingston, New Jersey. The site, which is now used for light industrial and warehouse space is well into the approval process. Current plans for the center are for a 30,000 SF anchor store with 12,000 SF of smaller shop space. 3350 SF is available at Circle Plaza, located at 464 West Mount Pleasant Avenue. Ownership will divide the store, and a national franchise is negotiating for half, so if you or your client are interested in a smaller store, please let us know. Circle Plaza is a 20,000 square foot specialty center located on the westbound side of Route 10, near the Livingston traffic circle. 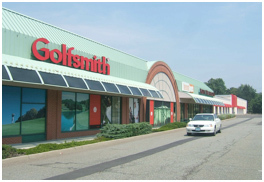 The tenants at the center are Golfsmith, Men’s Wearhouse and the Livingston Robotics Club, which is occupying space as a temporary tenant. Major tenants in the immediate vicinity include Fortunoff’s Backyard Store, Best Buy, Big Lots, Michael’s Arts & Crafts, Staples, CVS, Wine Legends, Toys R Us, Olive Garden, and Toys R Us. Circle Plaza is located in an affluent and densely populated area. Within a three mile radius, there is a population of 63,196 with average household income of $113,814, and within five miles, the population is 186,126 with an income of $102,138. Popeye’s Chicken just opened at Lyons Plaza. The tenant was represented by John Ponczek of JP Realty and the landlord by David Perlmutter and Amy Cole. A 1500 square feet in line store formerly occupied by H&R Block is available at Lyons Plaza. There is also a 1000 SF end cap available, and a 1088 SF in-line store, formerly a Chinese restaurant. The 78,400 square foot neighborhood center is located at the intersection of Lyons Avenue, Fabyan Place, and Route 78 on the Irvington-Newark border. Great pylon signage is included. The center is now fully leased, but an additional 10,000 SF may be possible in the future at this location with the acquisition of an adjoining parcel. 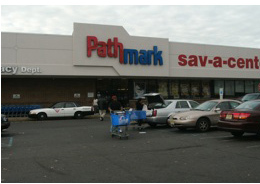 Lyons Plaza is anchored by a Pathmark Super Center, one of the highest volume Pathmarks in New Jersey. National tenants at the center are Radio Shack, Carvel, Rent-A-Center, GameStop, Golden Krust and Blimpies. Local tenants include Macy Beauty Supply, a Chinese restaurant, a nail salon, $Dollar Plus, Rosa Dry Cleaners, and a convenience store. The center is located in a densely populated area, with 55,605 people within a one mile radius, 330,422 within 3 miles, and 725,728 within 5 miles. Average household incomes are $ 49,758, $51,079, and $54,488 respectively. Built in 1990, Lyons Plaza is owned by a joint venture of Eastman Management Corporation and Lysar Management, Inc.